Later this year, the Inhuman royal family will make its debut in Marvel’s Cinematic Universe in a new series about how they... crash land in Hawaii and struggle to blend in, or something. 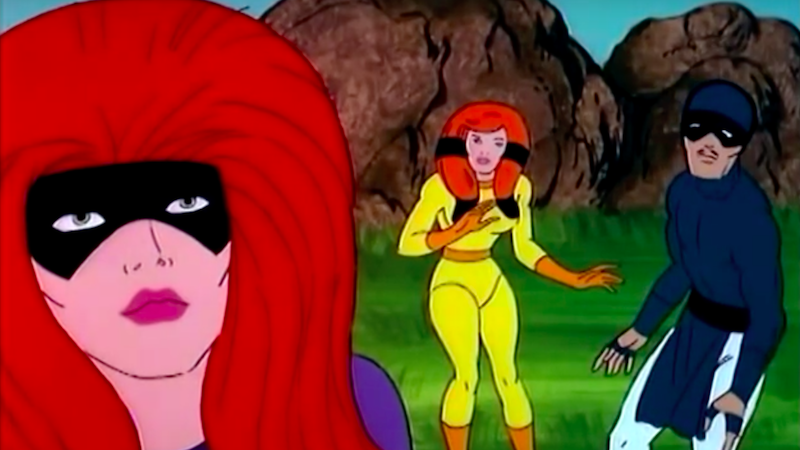 You can wait to watch that or you can watch this fantastic vintage cartoon about Queen Medusa instead. Back in the late 1970s, Marvel’s animation branch sought to capitalize on the very popular Fantastic Four by giving them an animated series on NBC. Unlike the earlier Fantastic Four cartoon, The New Fantastic Four was notable for replacing Johnny Storm with robot a named H.E.R.B.I.E. because of complications with the rights attached to the Human Torch. The series saw the foursome go toe to toe with classic Marvel villains like Magneto, Victor Von Doom, and the Mole Man, but it’s the episode featuring the Inhumans that’s perhaps the strongest of the series. While flying through the Bavarian Alps, the Fantastic Four stumble upon the Inhumans’ hidden society and are confronted by Medusa, Crystal, Gorgon, and Karnak. Black Bolt is nowhere to be found and Medusa is running things by herself like a boss. Unlike the current iteration of the Inhumans in Marvel’s comics, Medusa’s Inhumans are actively interested in taking over the world and subjugating humans to their will. Their powers are larger than life and pose a kind of danger that the Fantastic Four can’t match physically. In short, they’re a group of villains and they’re good at what they do. It’s idea that’s much more interesting than following them around as they explore Oahu (sorry, ABC) and it’s made all the better by the pure campiness of the writing and action. Does Ben Grimm get hypnotized into thinking that he should worship Medusa as his queen? You’re damn right he does. Hopefully, when the Inhumans come to ABC this fall, they’ll remember their origins and consider taking up lives of fabulous villainy. Here&apos;s a Thought: Why Not Have Black Bolt Use Real Sign Language on Inhumans?